Calling all Interns for the 2018-2019 Region VIII Leadership Academy! The fifth class of the Region VIII Leadership Academy is well over half way through their academic year and have set their sights on graduation at the National meeting in Chicago this summer. We are now looking for applicants for the next class which will begin on September 24, 2018 at Jackson. 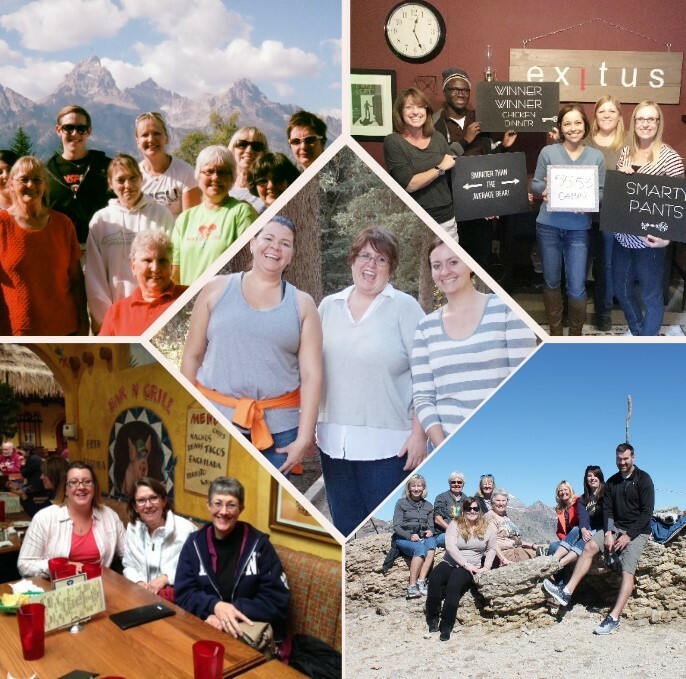 The Region VIII Leadership Academy (R8LA) is open to all interested ASCLS members in the 5 Region VIII states – Colorado, Idaho, Montana, Wyoming, and Utah. The R8LA begins just prior to the opening of IMSS with classes meeting on Monday, Tuesday, and Wednesday of that week. As with each class, a team building activity will be planned for Tuesday afternoon. The opening days in Jackson are a time to get to know each other, attend leadership sessions, and to brainstorm a project that will help our states in Region VIII. After IMSS, the Academy turns to Saturday morning video conferencing with faculty members presenting many excellent sessions. Topics covered during the Academy year include: history of ASCLS, communication and leadership styles, team building, parliamentary procedure, emotional intelligence, convention planning, advocacy, networking, mentoring and coaching, basic how-to for leadership in ASCLS, strategic planning, and recruiting. In the spring, the Interns are encouraged to share information about their project and the Academy at their state spring conference. They do a final presentation of their project at graduation during the Region VIII Annual Council meeting. This meeting coincides with the national meeting which in 2019 will be held in Charlotte, North Carolina. We are now looking for motivated candidates for our next class! Do you have a desire to further develop your leadership skills? Are you considering running for elected office in your state Society? Has your leadership potential been recognized by constituent society officers, board members or others in leadership roles? Have you demonstrated leadership potential by participating in leadership activities within constituent society organizations? If you answered YES to any of these questions and you are currently a member of ASCLS, we want YOU! If you are interested in participating in the R8LA, please contact Joni Gilstrap at jgilstrap@billingsclinic.org or go to the Region VIII website, R8LA information: http://asclsregion8.org/region-viii-leadership-academy/.